It’s been an extremely busy year for us here at the guest house despite the lack of a barbecue summer. I like to think the refurbishments throughout are paying dividends and maybe I shouldn’t under-estimate the pulling power of my ‘legendary’ porridge? Then again it could have something to do with our staff recruitment policy. As you can see from the photo taken for our summer night out this week, our house-keepers have a keen eye for detail, which helps ensure that our accommodation in Eastbourne remains impeccably turned out. 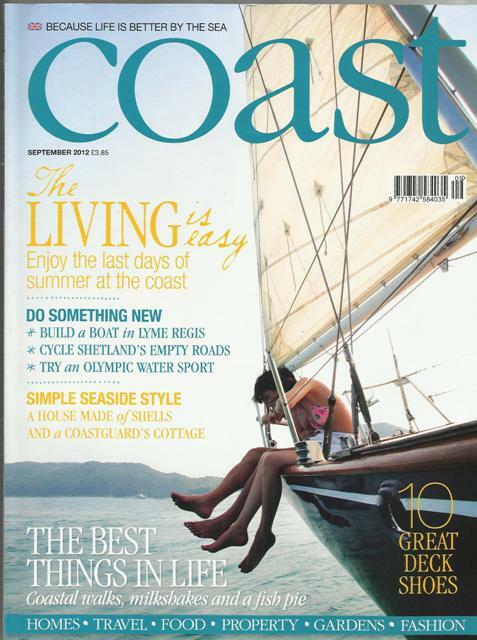 We’ve been fortunate again to receive some great press coverage – in this month’s issue of Coast magazine. The article highlights that this part of the Sussex coast is affordable and recognises that change is afoot in our elegant resort town. 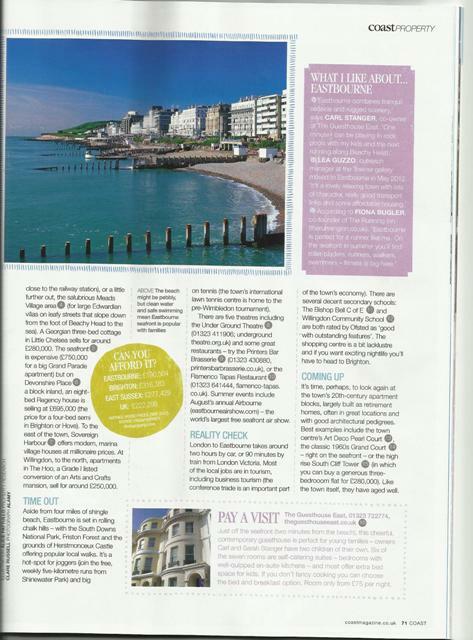 The award-winning Towner gallery deservedly gets an excellent write-up as does our charming bandstand. If you are thinking of moving here we’d be delighted to talk you through our experiences over a cuppa and could highlight the best areas to live. Indeed, our sister company, Exclusively Eastbourne, offers some short term rentals in Eastbourne that provide excellent temporary accommodation should you sell your property and need a little time to experience the town and all it has to offer before you take a plunge and purchase here. We only have apartments and houses in all the best parts of town (and where we’d recommend you’d live) so you’d get to appreciate them first hand. Try Meads for a leafy, village-like atmosphere or more central for the buzz of the theatres and easy access to the restaurants, thatres and cafes. So it looks unlikely that I’ll get much time off over the next few months to enjoy time on the kayak or to run along the Seven Sisters, but I can live vicariously through our guests for a while longer.